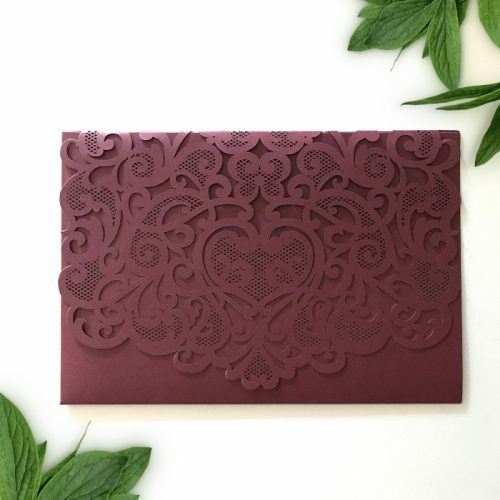 Each laser cut love heart pocket wedding invitations comes ready for you to personalise with your own unique style. This laser cut pocket starts with a burgundy card with a soft shimmer through the card. 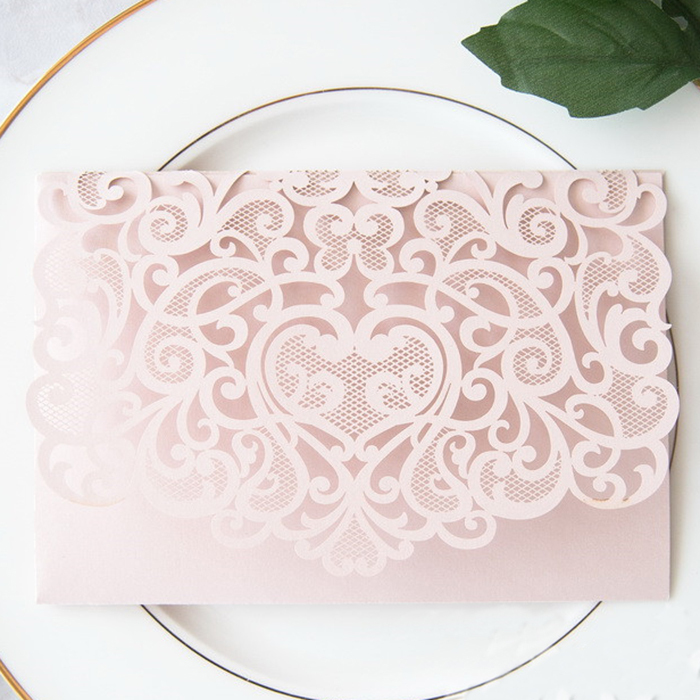 A romantic heart style laser cut design is cut from the card and then scored and folded to become an elegant wedding pocket. 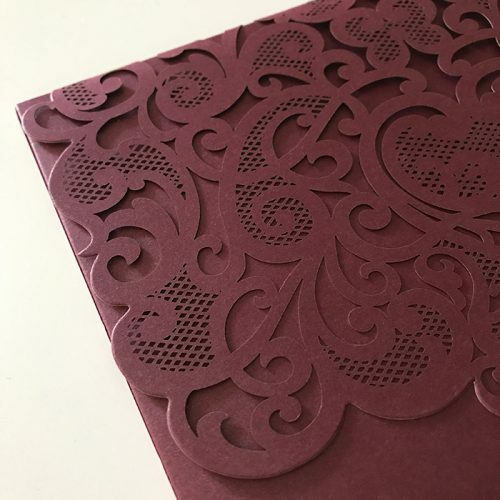 This laser cut pocket is a perfect start to create your own bespoke invitation. 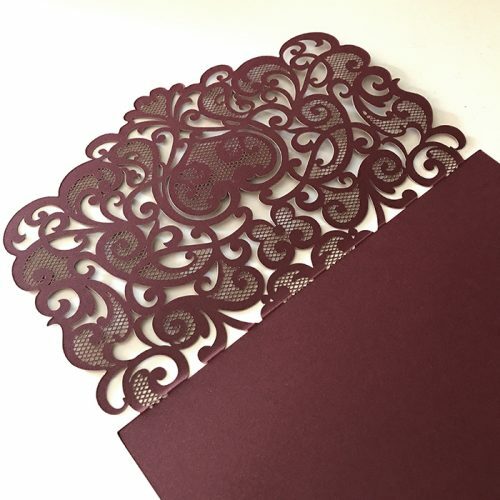 Glue in your invitation card along with any backing card, slip in your additional inserts – RSVP, wishing well etc. 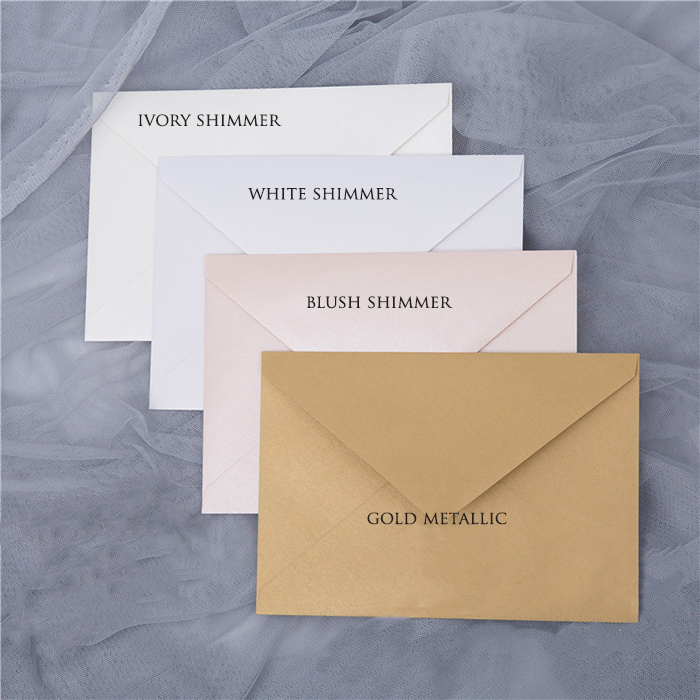 Embellish with ribbons or ties before slipping into an envelope and send out to your guests! 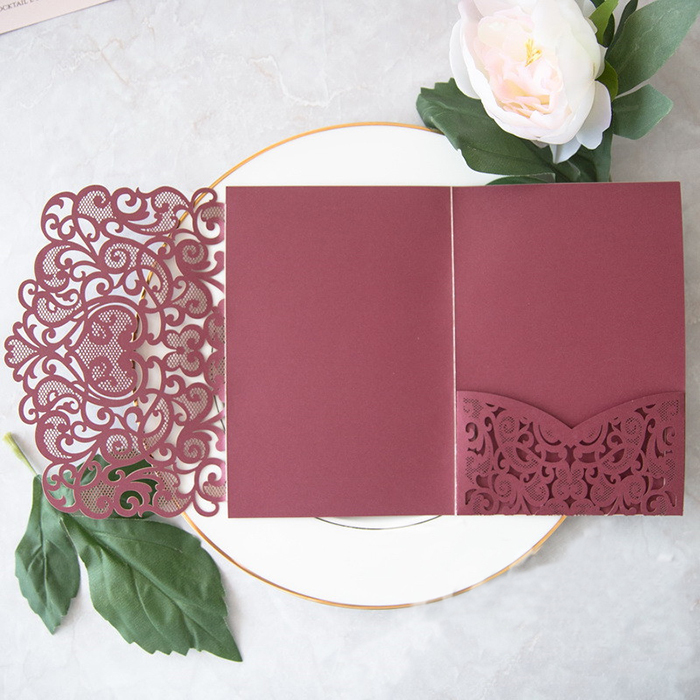 If you like this pocket but would prefer we take care of the invitation and insert cards just contact us to discuss your style and let Little Flamingo create your wedding stationery. 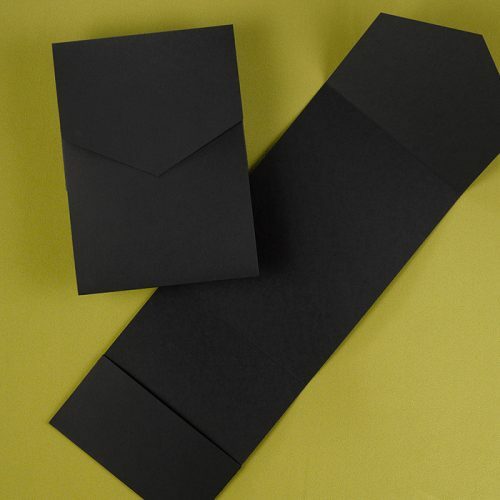 Each invitation pocket measures: 126x184mm when closed. Pricing includes a single laser cut pocket in your choice of Burgundy Shimmer or Blush Shimmer. 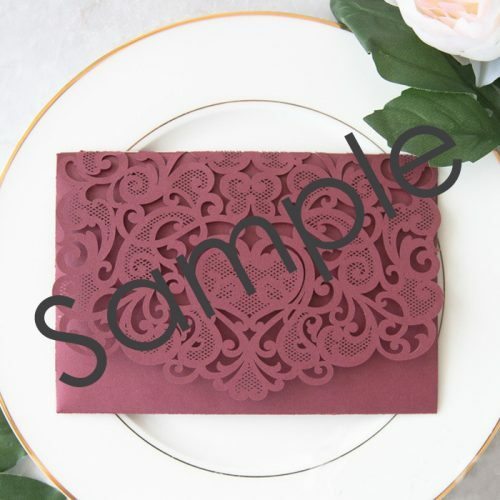 Minimum order: 50. Other colours are available at an additional charge, Contact us for more information. 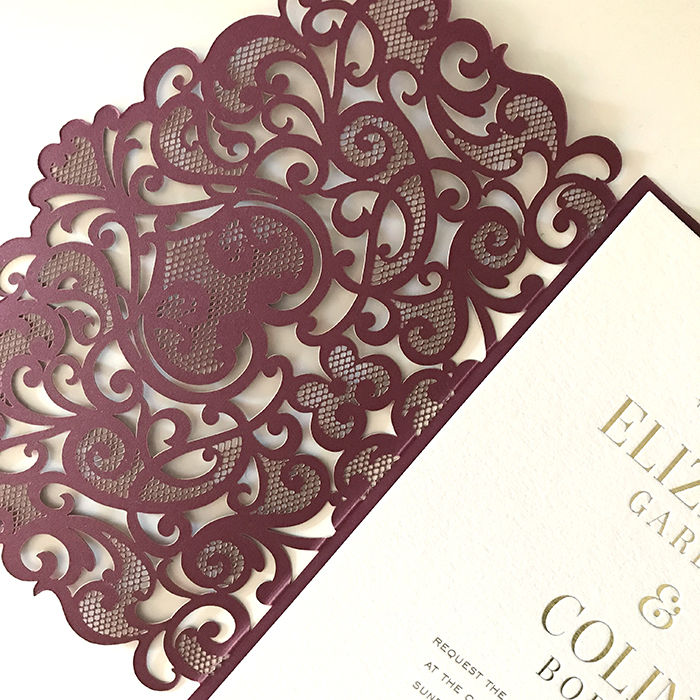 Each laser cut love heart pocket wedding invitations is ready for you to personalise with your own unique style. This laser cut pocket starts with a burgundy card with a soft shimmer through the card. 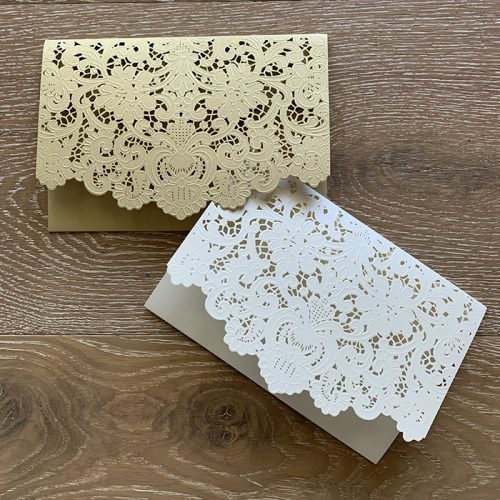 A romantic heart style laser cut design is cut from the card and then scored and folded to become an elegant wedding pocket.